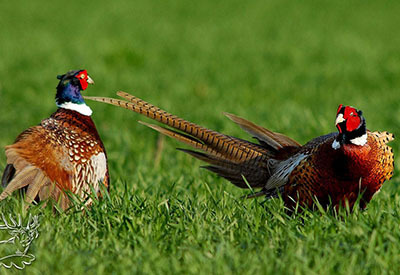 Today’s world of hunting offers a huge range, which is almost impossible to follow, especially among all the adverts from competing hunt organising companies. Our company does not really need any loud advertising due to its reputation. Instead, we arrange your hunts professionally and provide important information to our guests in order to help them plan their hunting trips. 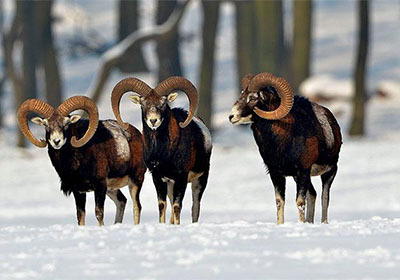 This is crucial, as hunters will remember the excellent trophies they acquired during an adventure for their whole life and he will share the story of his hunt with his friends later, which means that the circumstances of the hunt matter a great deal. Success-oriented experience, however, should not rely on pure hunting luck in our fast-paced world where time is of the essence. Naturhun selects the place best suited to your needs and helps to organise the whole trip. 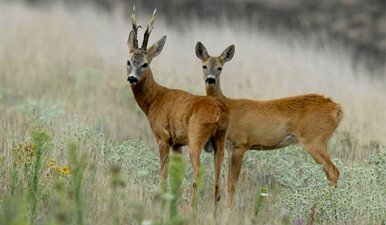 The hunting-season for roe bucks begins shortly in Hungary. 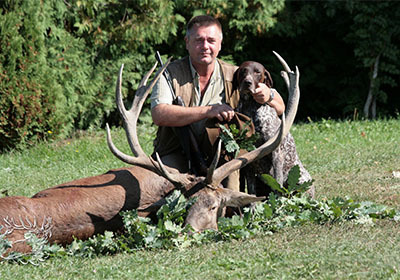 Come and hunt for bucks in the Great Hungarian Plain, because that is where the largest and the best quality deer population is located in Hungary. 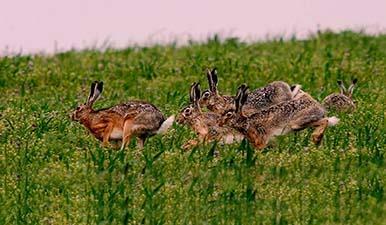 A hunting trip to Hungary in September? For all devoted hunters this can only mean the troating of red deer stag. 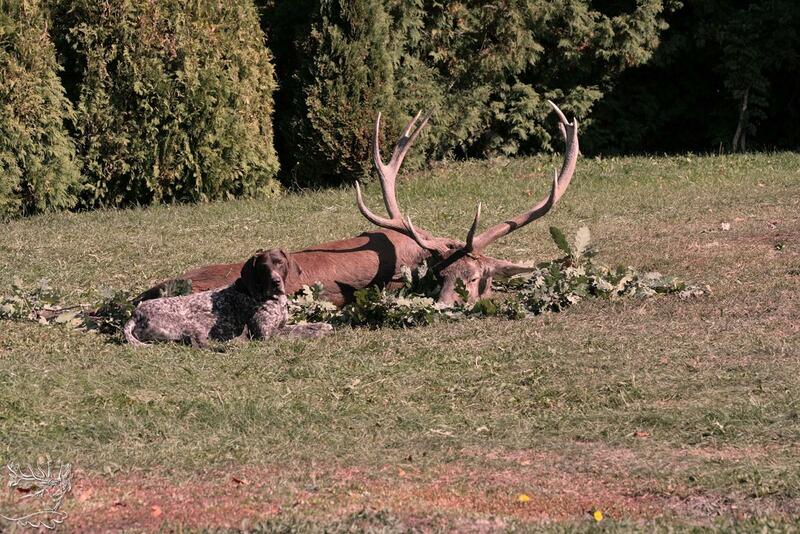 The red deer hunting in Hungary is the top hunting experience. 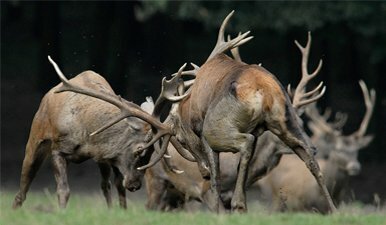 For stag hunting the best time is the rutting period. The hunting season begins at first of September, but the roaring itself starts quite differently (depending on the area). The cautious behaviour of the deer changes at this time, they only listen to their ancient instincts and many hunters – who skilfully use the stag caller horn– have learned this. The open season for the bucks starts on 15th April. Most of our guests choose this period, since this is the best time to get a roe buck on the end of your gun. 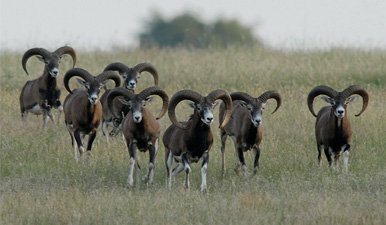 In terms of hunting, the rut season is a really special period, which lasts from the third week of July to the middle of August. The deer is called with a whistle, creating a special atmosphere during the hunting. 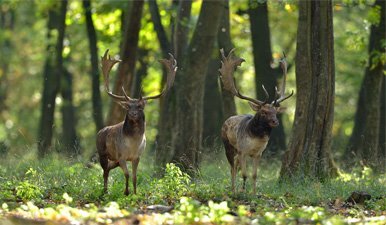 In Hungary, fallow deer hunting begins on the first day of October, when the forests say goodbye to the summer parade of their most glorious colours and show their most beautiful face. This is when you can hear the unique rutting of the fallows bucks, which sounds like constant snoring, and surely warms every hunter’s heart. 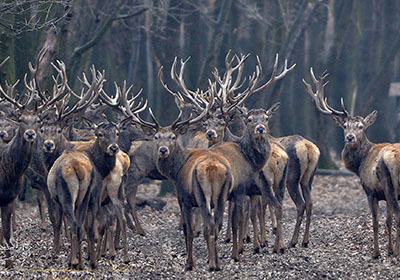 During the time of rutting you have a good chance of hunting the excited deer stags almost all day long. 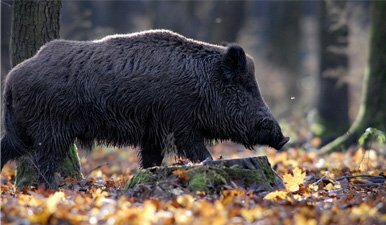 Wild boar hunting is the most popular hunting experience for hunters in Hungary. Hunting them from lookouts or by stalking is the most beautiful by moonlight. The top of is the well organized driven hunt in wintertime. The big drive is hold in a big terrain with a large number of professional drivers, beaters, dogmen and boarhounds. When driven hunting for boar, you cannot shoot at other animals, your prey might only be varied by some fox and golden jackals. 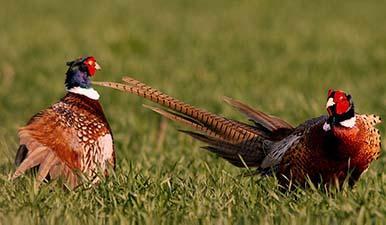 The pheasant hunting season begins on the first days of October in Hungary. Walking-up shooting is a popular type of hunting for companies of 3-8 friends. With two to three companions, game collectors and well-working Hungarian pointing dogs, it’s convenient to hunt down suitable canal shores, bushy areas, reeds and forest patches, with nice results. 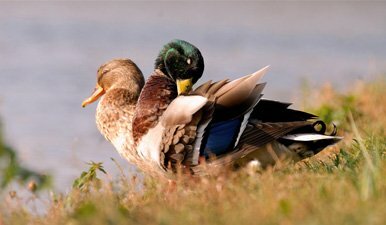 Hungary is a real paradise for the fans of waterfowles hunting due to its very favourable conditions. 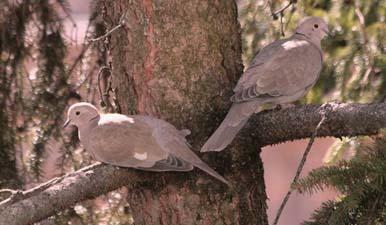 Collared dove shooting is more and more popular at summertime. It is also a very good target - practice for hunters. Hospitality, high level expertise, professionalism, youthful attitude, dedication, passion for hunting and decades of experience. 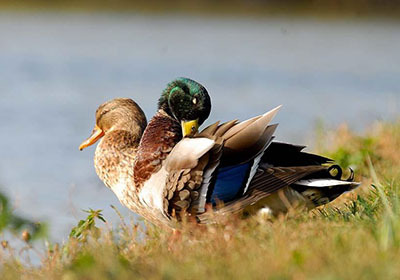 Stalking, ambushing or joint hunting. We maintain our traditions and carry them forward. Find our updated news, photos and offers on our Facebook page and give us a ‘like’. You may be surprised that a hunting dog can write a blog…Well this is not an everyday activity for a canine, I admit. Why did I take on this noble task anyway? The people at Naturhun work on organising hunts every day; they make arrangements with our guests and arrange the hunting areas – they are busy working in the office in one moment and get in their cars to go to the field in the next, and since we would like to record and share our hunting experiences, I was the only one left to write a blog. My name is Fröcsi. The only thing I like more than writing blogs is going on hunts. You will see why if you bear with me.